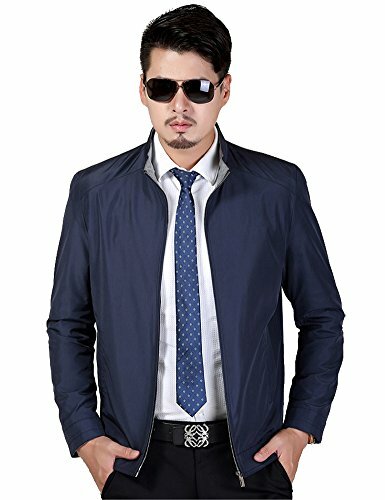 IDEALSANXUN Men's Classic Lightweight Zip up Business Windbreaker Bomber Jacket (Navy Blue, Large) by IDEALSANXUN at Cheap Work Clothes. Hurry! Limited time offer. Offer valid only while supplies last. Regular fit,zipper closure,two side pockets,with soft lining,snap button cuffs,round hemline. If you have any questions about this product by IDEALSANXUN, contact us by completing and submitting the form below. If you are looking for a specif part number, please include it with your message.